Raqib Shaw's pub sign artwork - The Queen Elizabeth - is being auctioned for Space In Between gallery's fundraiser ARTISTS MAKE PUB SIGNS. 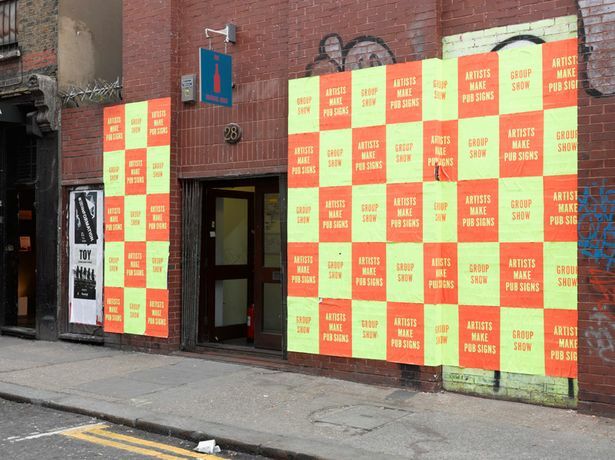 Shaw, alongside Jake & Dinos Chapman, Charles Avery, Goshka Macuga and Ernesto Neto have all made one off pub signs, currently on show at The Londonewcastle Space and available to buy via silent auction. ARTISTS MAKE PUB SIGNS opened on Thursday evening with bidding taking place online throughout the week. The pub signs, donated by over 20 artists, are all being sold in aid of Space In Between's ongoing gallery programme, focused on commissioning and exhibiting work by emerging artists at an important stage in the development of their careers. With restrictions on public funding increasing, small-scale commissioning arts organisations have to find new and inventive ways to raise money to support their activity. The established artists included all acknowledge the value of these types of developing organisations and their support, along with the support of all the artists involved, is hugely generous. 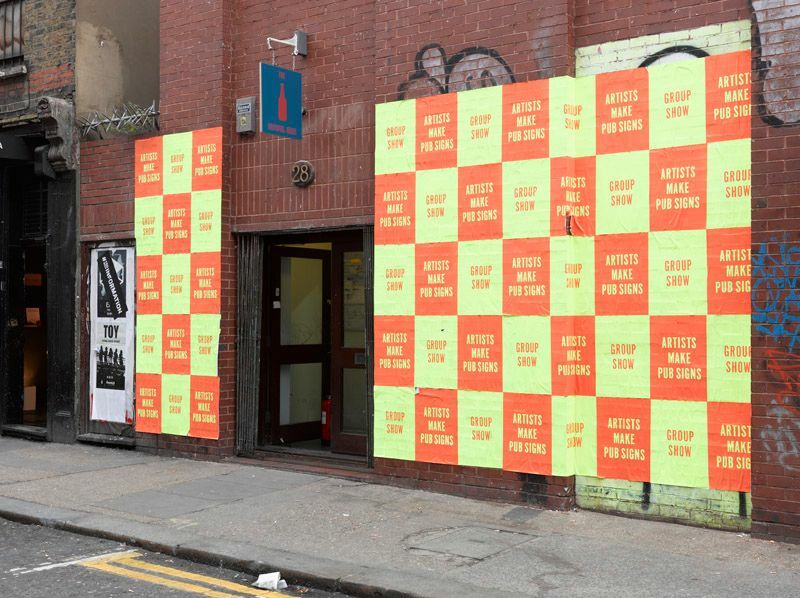 Installed inside the white cube gallery space, and alongside the pub sign show, is a fully functioning pub. The Faithful Muse is open daily, serving a selection of drinks and playing host to a series of events including a pub quiz on the 10th, and a live music night on the 12th. Bidding on all the pub signs closes on Friday 13th at 8pm, to bid on the pub signs go to -www.32auctions.com/artistsmakepubsigns A closing event will take place from 5pm, hosted by a lively compare and featuring bands and an after party until 10pm.